Whether attendees help shape AV industry events with interactive activities or attendees go home with new concepts to share, keep those crowds coming. I travel here and there in my role to AV industry events, but certainly nowhere near as often as those who work in sales and business development. I saw my dad spend two out of every three weeks on the road when I was a kid and that life never interested me, although some of you out there love most of it. We’ve all seen that every association, manufacturer and group in the pro AV space has launched its own event as a way of better connecting with its customers and partners. In fact, as I was moderating a Total Tech Summit session this morning on profitability secrets in this industry, Tech Decisions’ Jonathan Blackwood was attending the Carousel Industries AlwaysOn Technology Symposium, an event I’ve covered for the last several years, but couldn’t do without a lot of planning and technology involved. Although the host organizations often pay the freight for media folks like myself to attend these AV industry events—figuring they get their money’s worth by me writing about the sessions—most attendees aren’t as lucky and have to fork over hundreds of dollars for the privilege of going. The good news, at least from my perspective, is the money you’re spending seems to be more worth it than ever. Organizers are doing everything they can to respond to the needs and desires of their guests and, while it’s not easy to be away from the office for any length of time, the return on investment is high. 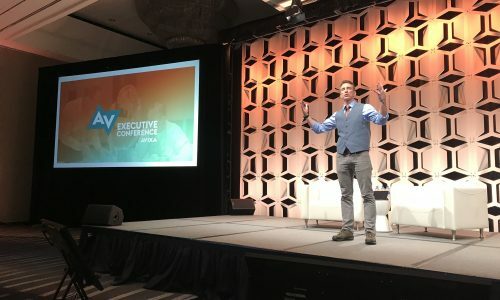 AVEC attendees likely noticed this year’s agenda was lighter on the high-profile speakers and much more focused on industry insights that were directly related to the specific industry and many of the vertical markets within it. That change was a direct response to user feedback about the event—and I think that shows AVIXA doesn’t craft its plans in a vacuum without consideration for its target audience. Another fun aspect to AVEC this year was the instant polling—both on iPads as feedback for individual sessions and shared with the larger group as almost-instant analysis of the value they got from coming to Tampa. 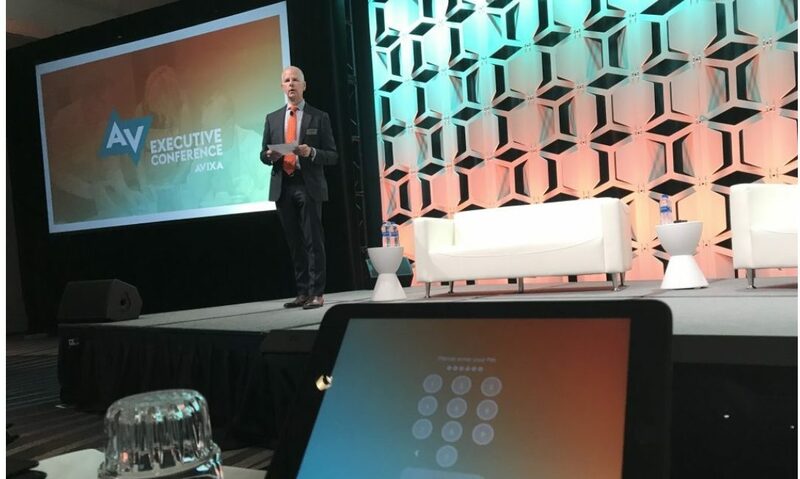 One concrete example was that about 40 percent of AVEC 2018 attendees say they’ll change the way they handle customer calls in direct response to Matt Dixon’s opening keynote about how challenging your customers is a more effective sales approach than doing whatever they want. At the Total Tech Summit, the attendees’ schedules are always booked solid, but there’s definitely some time for networking and conversation. Not long after our panel discussion on helping AV business leaders find better ways to maximize their profitability, I saw one of the panelists engrossed in conversation with one of the attendees who heard him talk about the advent of AV-as-a-service, a phenomenon this panelist—Innoface CEO Ivan Collins—says is inevitable and likely coming soon. I’ve often wondered how many project partnerships—and even mergers and acquisitions—are the result of conversations people have at these AV industry events while they’re guzzling coffee or snacking on fruit salad. I’ve tried to ask people about this and no one can give any sort of accurate statistic on it, but it’s safe to say that money you’re spending to send your employees—or yourself—to AV industry events is still worth it.